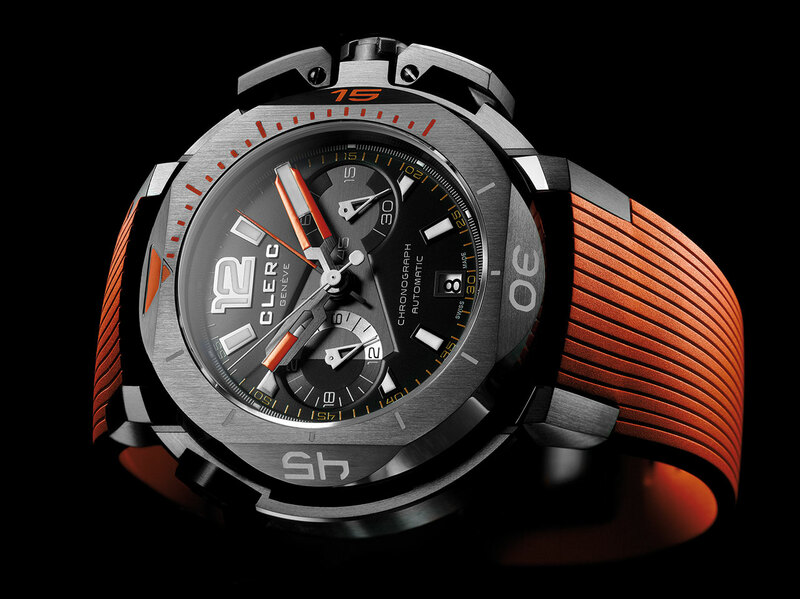 Two central hands as chronograph counters: such is the innovative solution proposed by Clerc Genève. The first indicates the seconds, and the second counts off the minutes. Loyal to the design of the Hydroscaph line, this instrument is water-resistant to 500 metres and protected by a powerful 103-part case featuring the signature lateral reinforcements and octagonal bezel: a new milestone in the history of short-time measurement.